M. H. Al Mahroos is a supplier of construction & building equipment catering to various commercial, retail & industrial market segments across the G.C.C. 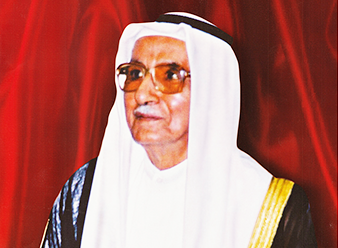 Founded in 1930, M. H. Al Mahroos was one of the first to establish its presence as a multinational brand distributor in the region whose emphasis lay squarely on providing innovative solutions, quality of life improvements, state of the art products & technology backed by its qualified expert technicians. Since its inception, M. H. Al Mahroos has accumulated an impressive 89 years of extensive industry expertise, establishing its operations in Bahrain, Saudi Arabia and the United Arab Emirates and making strides to conduct business across the G.C.C. M. H. Al Mahroos has enlisted an array of world-class brands into its portfolio, expanding its reach to over 26 unique trades, providing several solutions for needs ranging from Cleaning, Laundry to Heavy Construction, and Logistics & Warehousing among many others. In 2018, M. H. Al Mahroos set the bar higher by transitioning into the digital world with an aim to go global eventually. The purpose was to bring ease & convenience of ordering machinery, accessories & spare parts. The e-commerce initiative, called “Itemshub” helps streamline procurement and provides additional benefits such as 360 product view, interactive product diagrams and detailed content rich product pages. The year 2020 sees M. H. Al Mahroos embark upon its 9th decade of service; a notable milestone on its journey to fulfill its vision: “To be the first choice for premium products & services that continually creates value for our stakeholders.” M. H. Al Mahroos is a proud contributor to the region’s economic development as well as a strong contender in the market due to its unmatched service standards & its impressive housing of over 100,000 high-quality genuine spare-parts. M.H. Al Mahroos pursues customer satisfaction through its guiding principles & insists to remain a responsible corporate citizen through its contributions to the regions development & its client’s wellbeing & satisfaction.